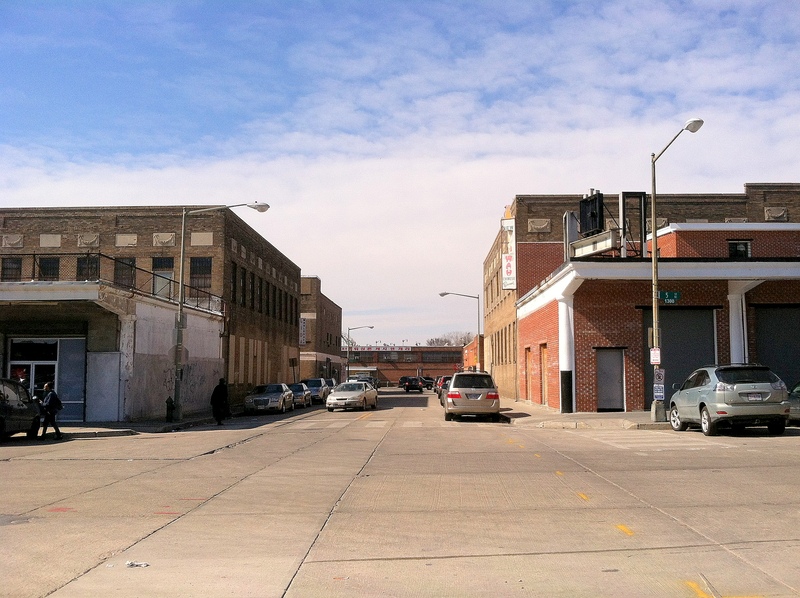 A photo tour of gentrification and redevelopment in Washington’s old central wholesale market. 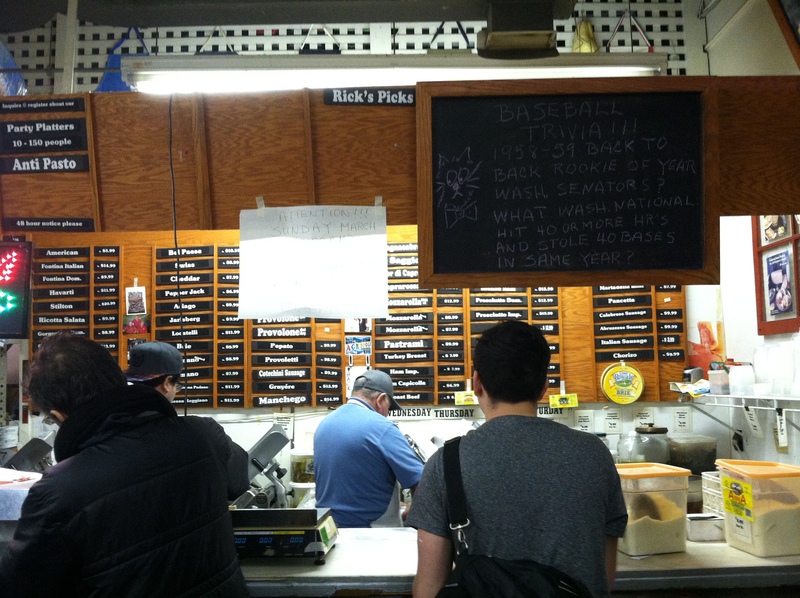 Like the sign says, it’s called Union Market. 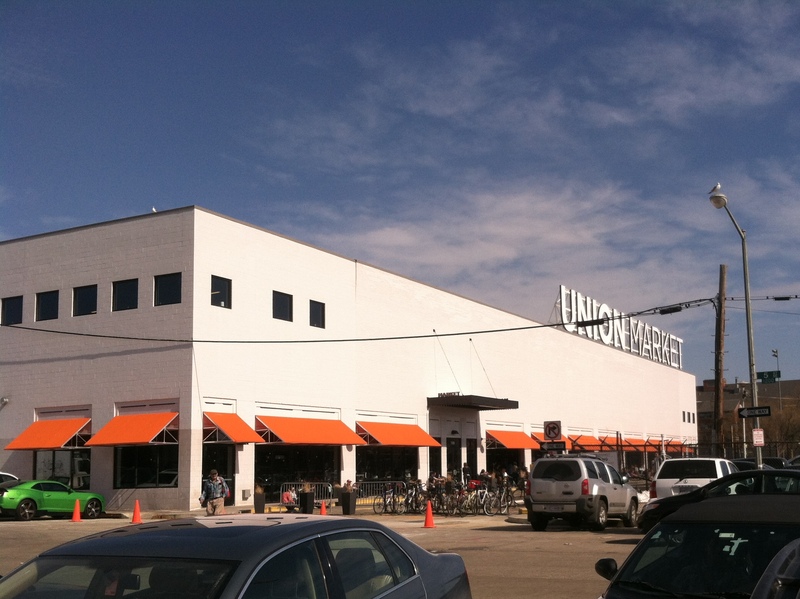 Union Market was developed by Edens, a multibillion-dollar developer and property owner based in Columbia, South Carolina. Edens holds over 100 shopping centers up and down the East Coast, the majority of which are run-of-the-mill strip malls anchored by well-known national retailers. Union Market is definitely one of their more unique properties, taking the shape of a food hall and focusing instead on local and regional vendors. 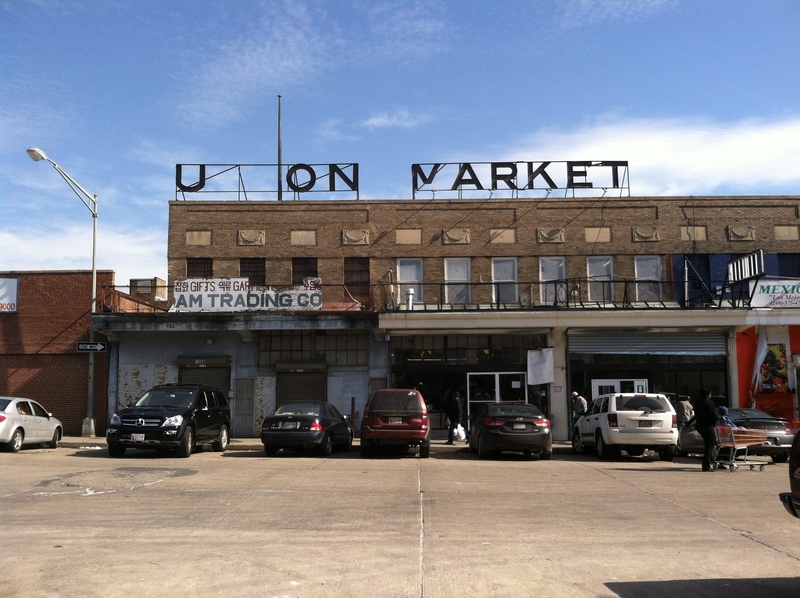 Like the sign says, it’s also called Union Market. (Some of the letters have been missing since a 2011 two-alarm fire.) 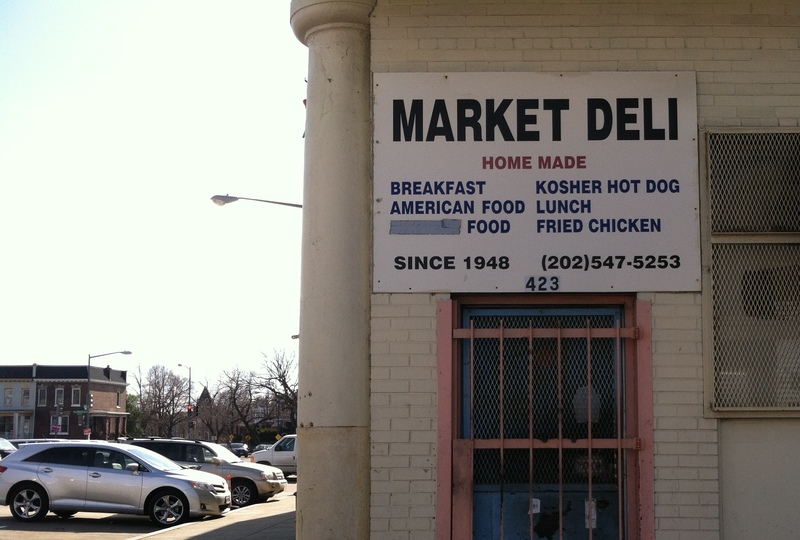 Sometimes it’s also called the Florida Avenue Market. What gets overlooked is that Union Market – the old, original Union Market, that is – is already a “district defined by people, passion and possibility” and an “urban village born from the diversity of the dreams and energy of the nation’s capital.” It’s already an “authentic market of culture and commerce,” and it’s a “true gathering place that serves as an inviting melting pot of old world heritage and new world opportunities” to boot. 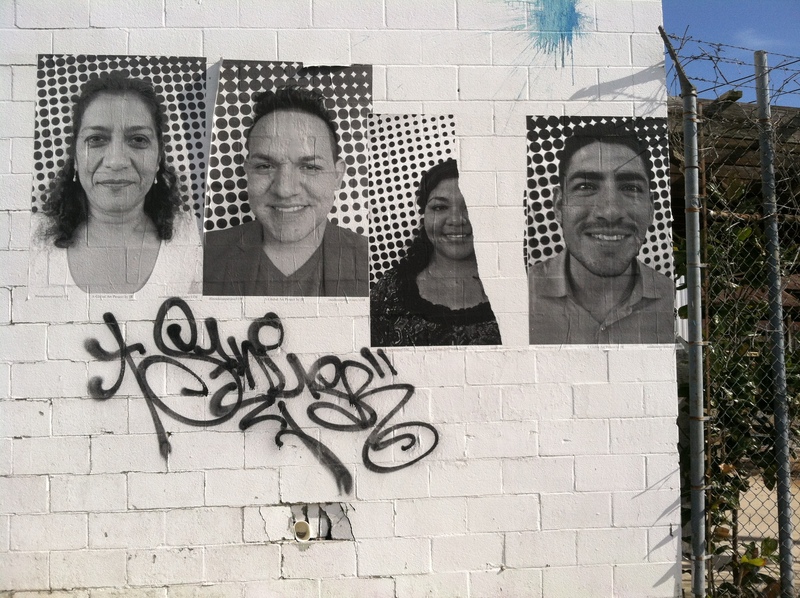 A quick walk among the grid of streets south and west of the new Union Market reveals a staggering amount of diversity. 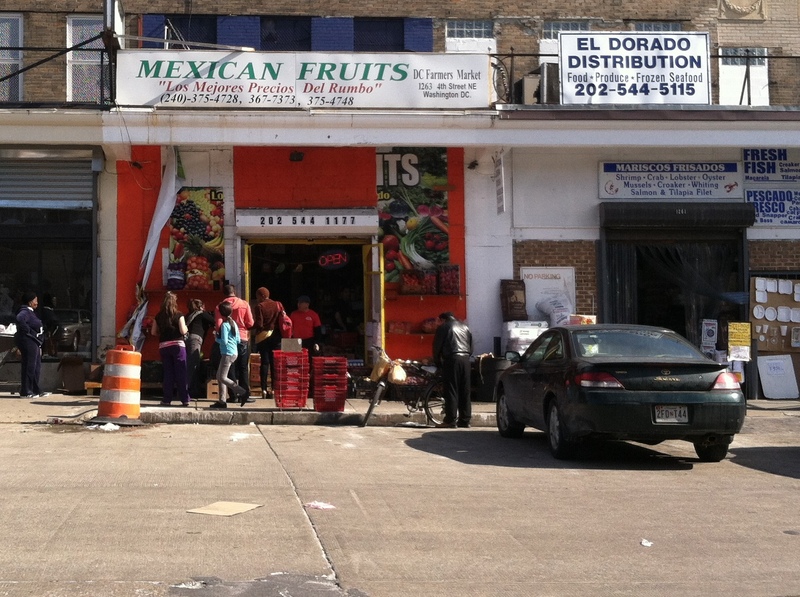 The neighborhood is a “melting pot” unlike few others in the District of Columbia. And there are African and Caribbean markets. 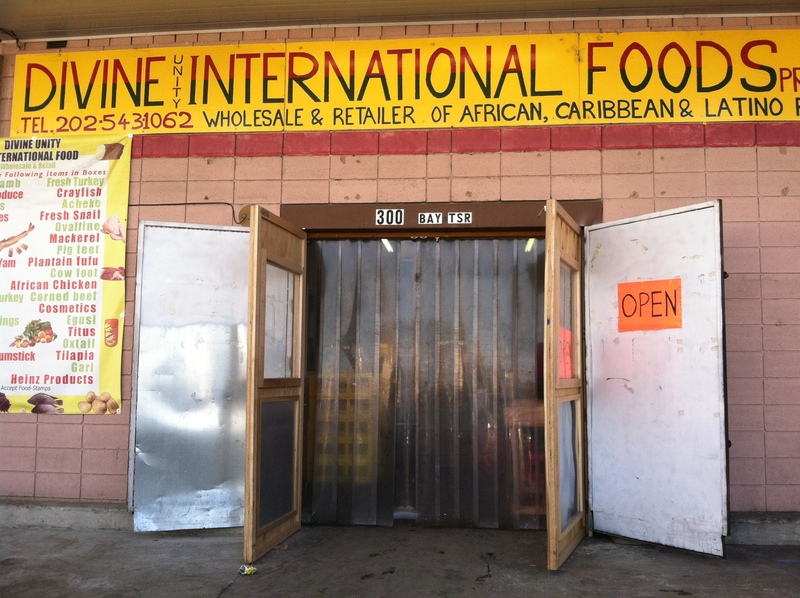 An African and Caribbean market. 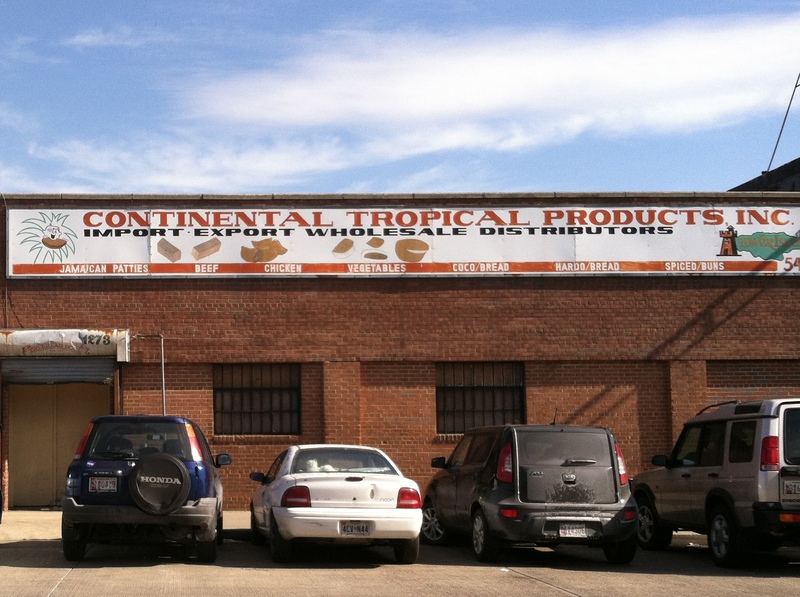 You can buy tropical products, like Jamaican patties and coco bread. And you can buy fresh goat, slaughtered daily from a local farm. 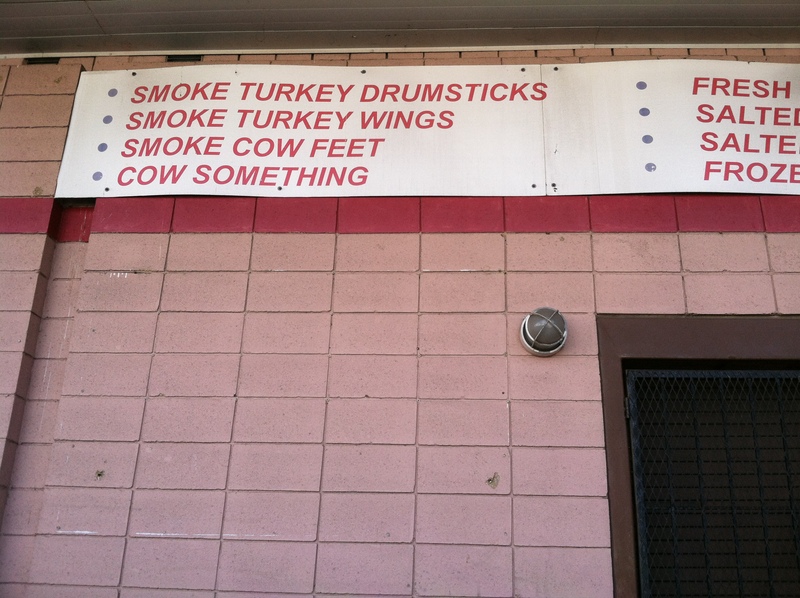 You can even buy “Cow Something,” whatever that is. 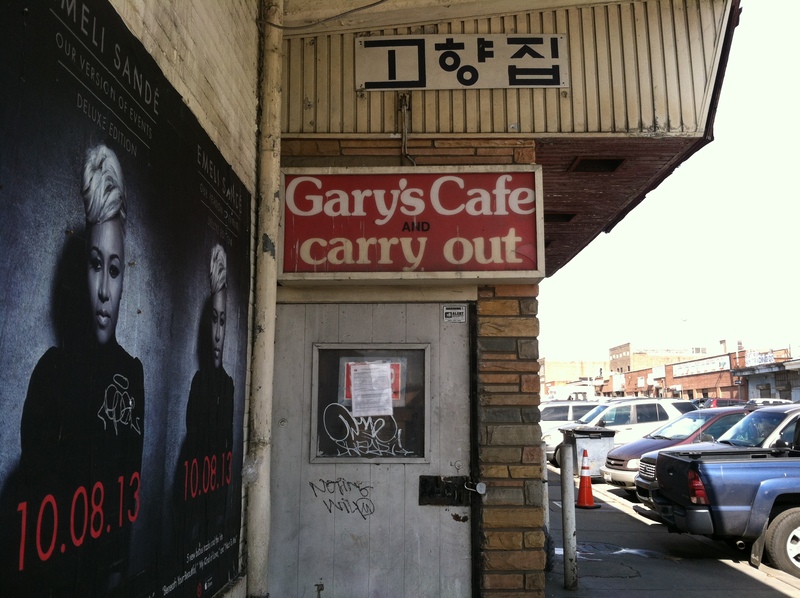 You can spot Korean writing next to British pop posters. 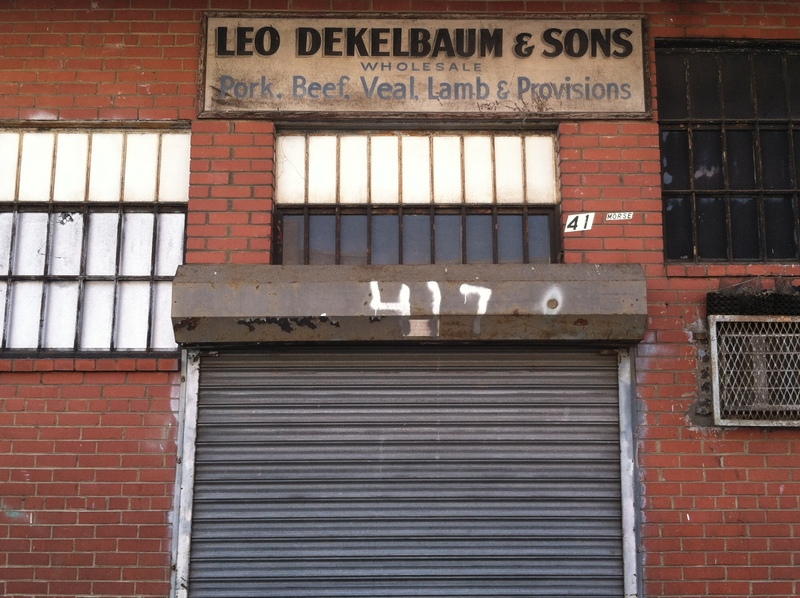 And there’s been an excellent Italian grocery and deli since 1926. 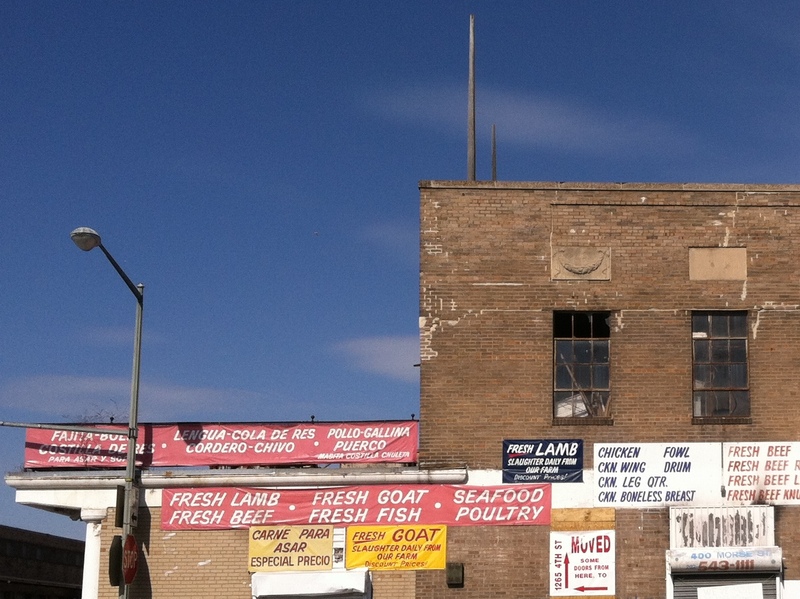 A. Litteri, 517-519 Morse Street NE. 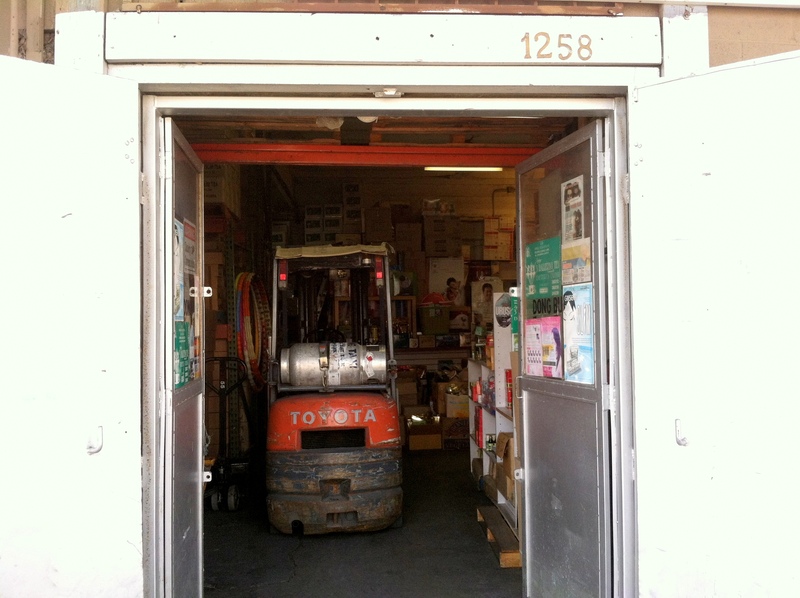 Some of the stores just sell restaurant supplies. 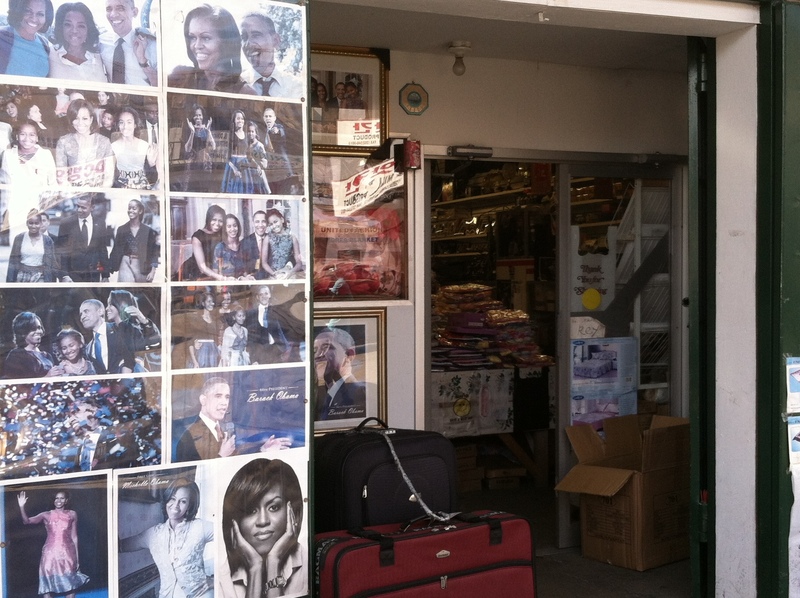 Others don’t sell food-related wares at all, instead selling the souvenirs you see sold at tourist shops all over town. It’s a vast district, covering several square blocks and encompassing over 100 vendors. 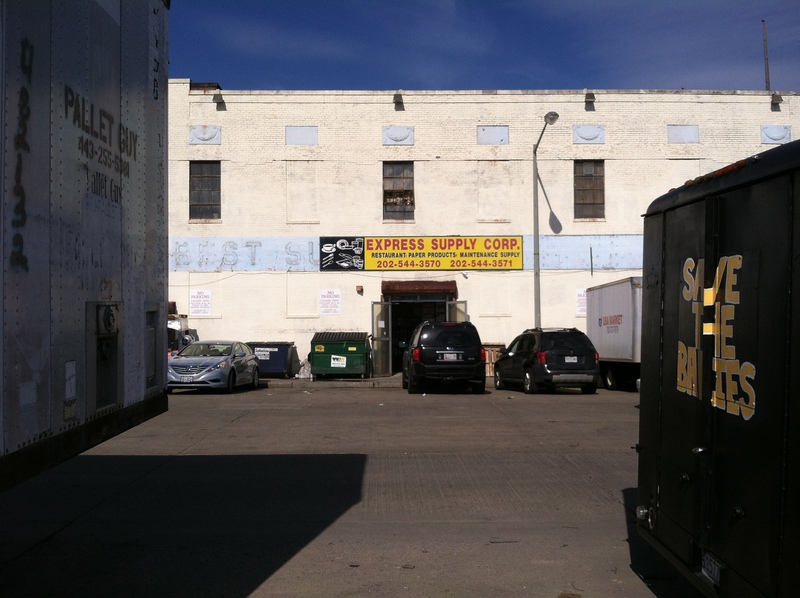 Many of the buildings are owned by the vendors themselves and have been for decades. 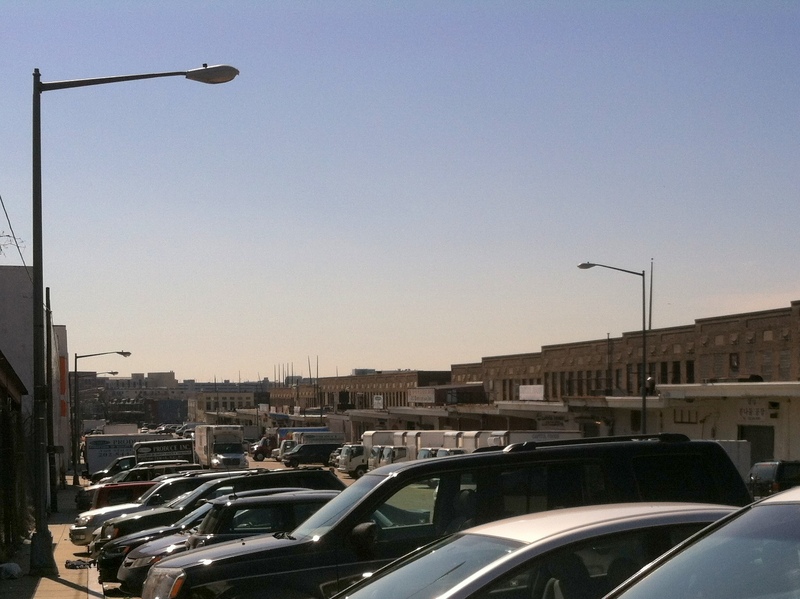 View of 5th Street NE. Architecturally, it’s an interesting area, with wide streets and old brick buildings lined with colonnades. View of Neal Place NE. But, I’ll admit, it’s a little gritty, too. 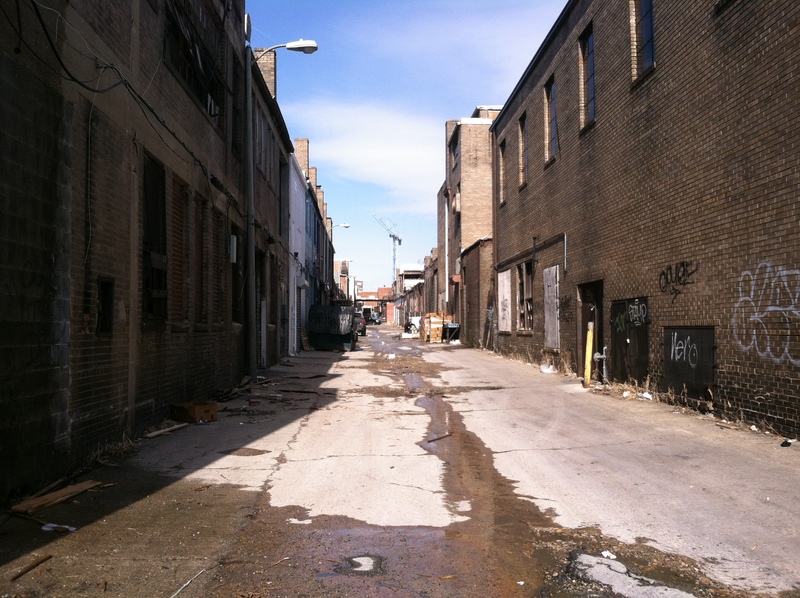 Alley between 4th and 5th Streets NE. 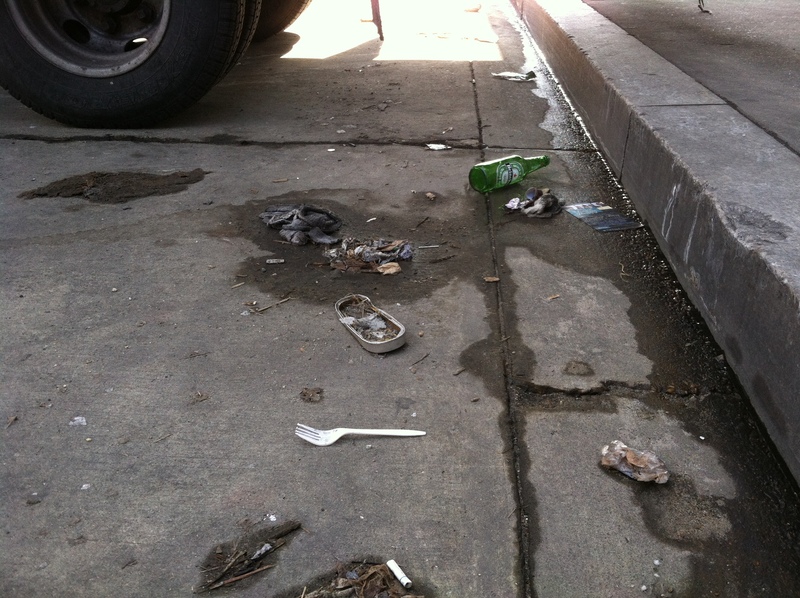 You might even find the remnants of last night’s dinner in the gutter: sardines, a Heineken, and a cigarette. A kosher hot dog in Northeast. Leo probably lived in the area. But on a recent Saturday morning, there were no signs of a depressed neighborhood in need of renewal. Trucks came and went. Pedestrians milled about and filled the retail and wholesale establishments. The wide streets were crowded with honking cars, and there were no parking spots available. Traffic follows its own patterns. 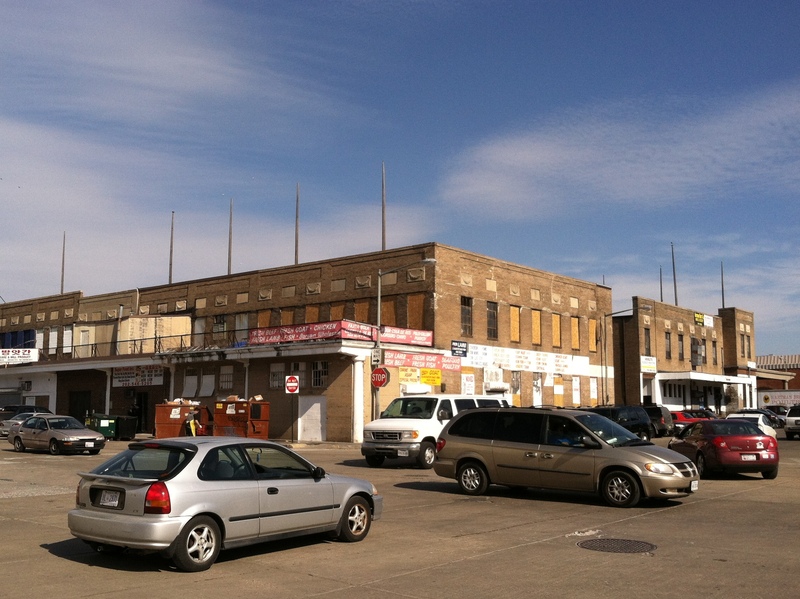 But luckily development has arrived to rescue the city’s wholesale market from itself. 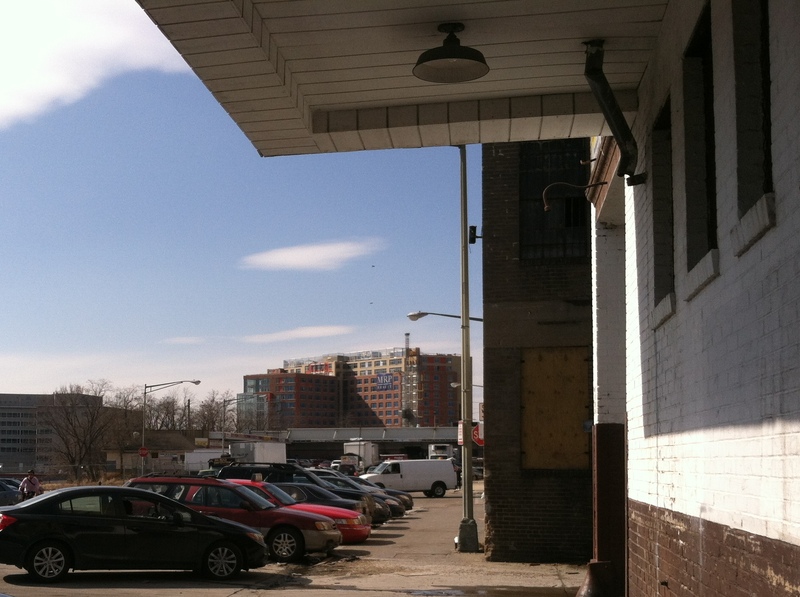 A new luxury apartment building looms nearby.